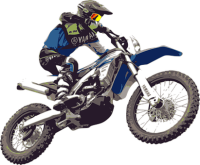 It’s almost time for the 2018 racing season to get under way and there is plenty going on behind the scenes at Quirindi Motorcycle Club to make sure the season will be safe, hard fought, and of course fun. Please check the Quirindi Motorcycle Club Facebook Page for up to date information on the coming season. We have achieved quite a bit in off season thanks to the volunteer efforts of many. We also had a great turn up to the working bee – thankyou to those who gave of their time and efforts. During the past year we have been concentrating on increasing the numbers of participants with the Club and actively using Facebook to advertise and keep in contact with all our members. A sponsorship for $250 per round is ongoing to raise extra funds for the Club. Thank you to Steve from McLeans Earthmoving for his donation of time and expertise to help us keep the track in the best possible condition for our riders. Thanks also to John McIntyre and Willow Tree Gravels for their contribution in track maintenance. The Committee has agreed to make some track improvements, this is now in progress. I’m also pleased to see our Committee members doing various courses for official licensing to help the lighten the load on the Club. A special thank you to Todd, Jack and Sam Aitken, Mat Eden, Brendon Schultz and Max Kettle for their tireless behind the scene efforts during the year at the track. My thanks go to each committee member for their super efforts to make our club prosper. Please remember that the Quirindi Motorcycle Club is your club. Without your help with the grounds and maintenance, canteen and assistance on race days, we will not be able to run. If you have any questions or suggestions, please feel free to contact us or leave a comment.